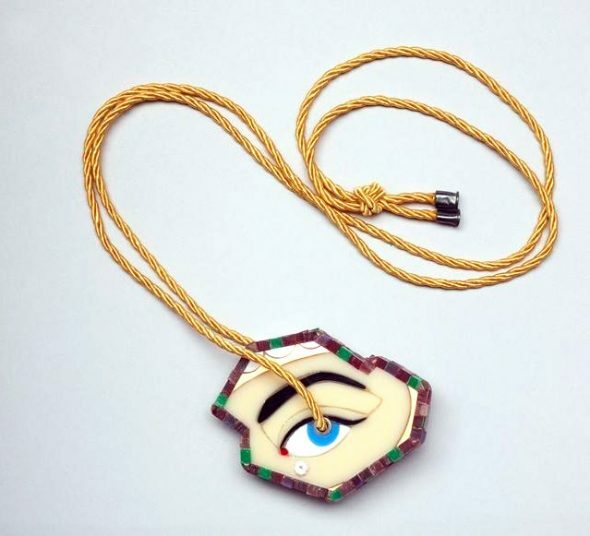 On Friday March 18 Te Papa opens a new exhibition on Level 6:- Inspired: Ceramics and jewellery shaped by the past. The exhibition draws on contemporary and historic objects from Te Papa and considers how objects can be connected across time. 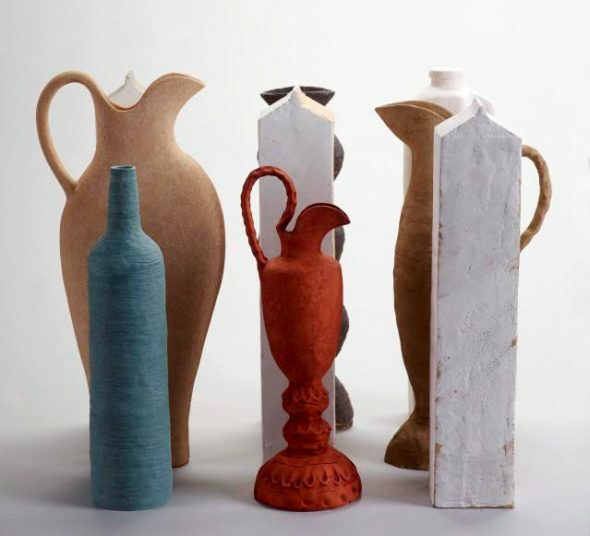 The phrase ‘thinking through time’ relates to an important part of the practices of seven artists – six New Zealand potters and jewellers and one European artist, – Picasso. Functionality, colour and form, symbols and meanings, ancient forms, glazes and heritage unfold through the exhibition. In this way, the relevance of the past is explored through design and culture. Ann Verdcourt’s Still life with Red Jug is one work that we show. These clay vessels remind us of ancient and modern shapes, abstracted and presented as an art installation. Tall white cartons stand upright close to a selection of vessels drawn from across the ages including a red Roman- inspired jug. Verdcourt considers fitness for purpose – the same principle exemplified by the makers of the Egyptian vessels which were intended for storage or transport of beverages and food. The bases of these generously shaped ceramics tell us today if they were intended for transport across water or destined for the home. Thousands of years old, they were uncovered through archaeological discoveries – in this case through the Egypt Exploration Fund of Great Britain. ‘Something you couldn’t resist touching and loading with your own personal sentiments’. 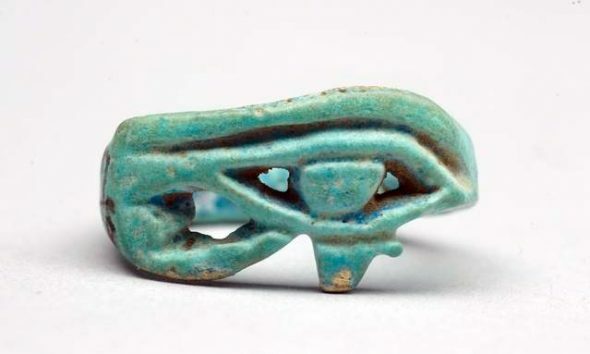 The eye form and amulet hold particular interest in Egyptians jewellery too. Notice the wadjet ring, jewellery that offered protection in the afterlife. Both objects, however, use materials of their time: – glowing acrylics throughout the pendant, and faience made from glazed ceramic containing silica for the finger ring. 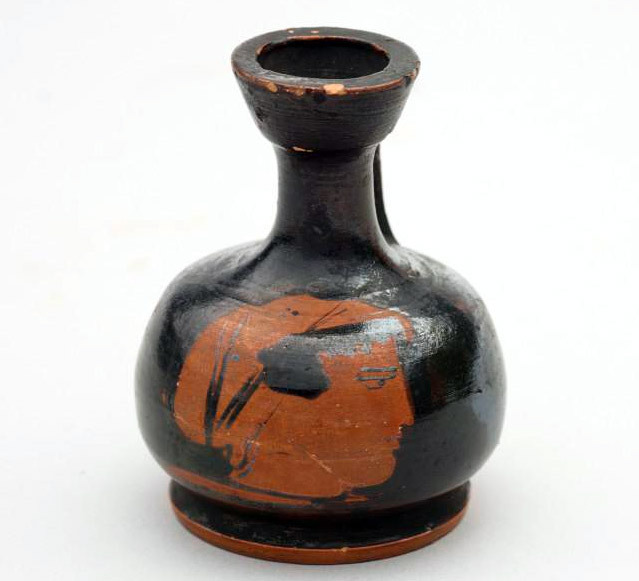 Picasso’s decorated jug Picador exemplifies his interest in history. Using the complex technique of Greek red- figure decoration, he depicts a simple narrative based on his love of the Spanish bull fight. This work was one of numerous ceramics made by the workshop of Madoura in Southern France where editions of ceramics made Picasso’s work affordable. 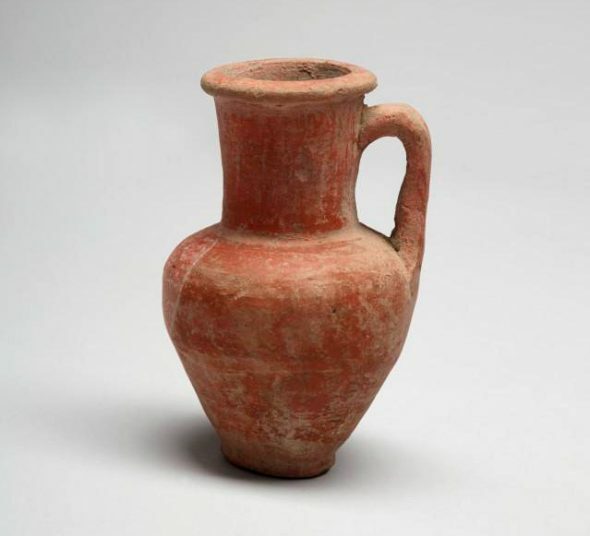 Notice the small squat Lekythos with red figure decoration, made sometime between 400 BCE and 374 BCE, originally intended for oil. 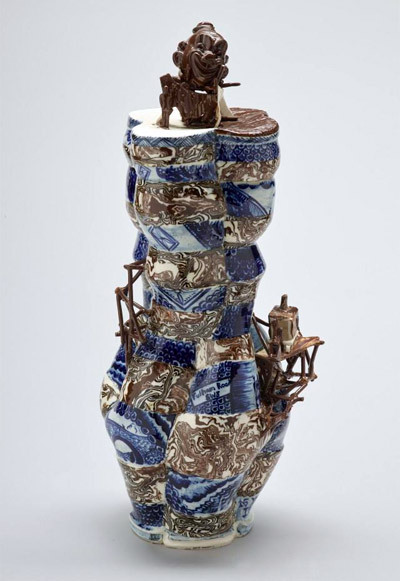 Richard Stratton’s whimsical vessel draws on oriental cobalt- blue decoration and the export of porcelain to Europe. Stratton blends ‘Scale’ decoration – derived from the traditional fish scale motif with hand constructed scenes of a 20th century tale. 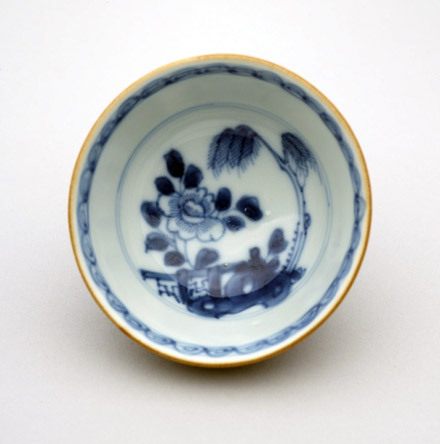 Fiction and art sit side by side, much like the Chinese blue tea bowls, which depict a fanciful landscape scene and were destined for export to Europe in the 18th century. This exhibition explores the artist’s practice and the circulation of ideas. A video recording Richard Stratton at work has been especially produced for this exhibition. Artist unknown. Teabowl, about 1750, porcelain, underglaze cobalt-blue decoration. Please join us this Saturday for the final in the Curators in Conversation series. Justine Olsen – Inspired: Ceramics and jewellery shaped by the past.